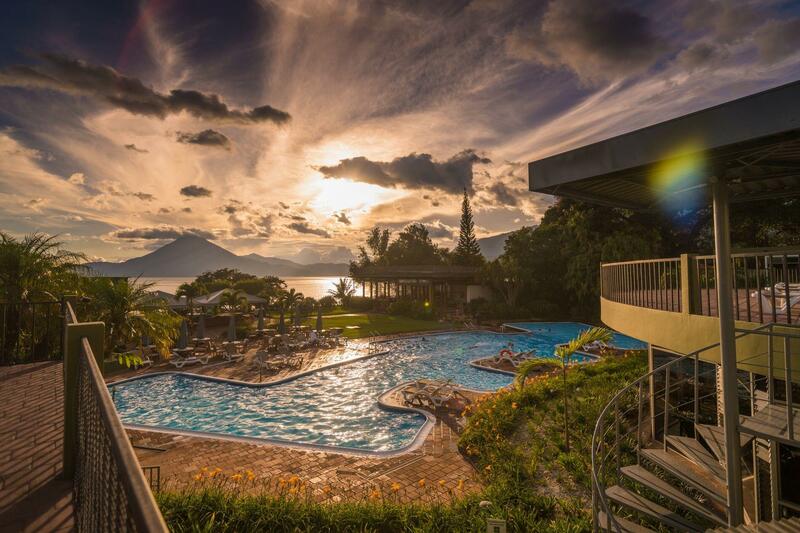 Framed by lush gardens and breathtaking views of Lake Atitlán and Guatemala’s three majestic volcanoes – Volcán San Pedro, Volcán Atitlán and Volcán Tolimán – Porta Hotel del Lago offers a truly majestic destination for your next getaway to Panajachel. 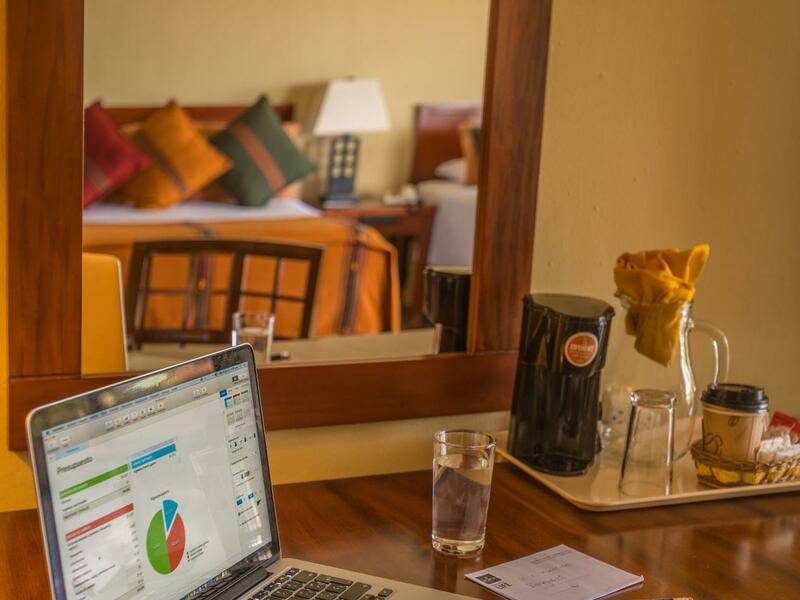 You’ll find our tranquil, intimate and warm boutique hotel overlooking lake waters just steps from the town main attractions, shopping and restaurants. 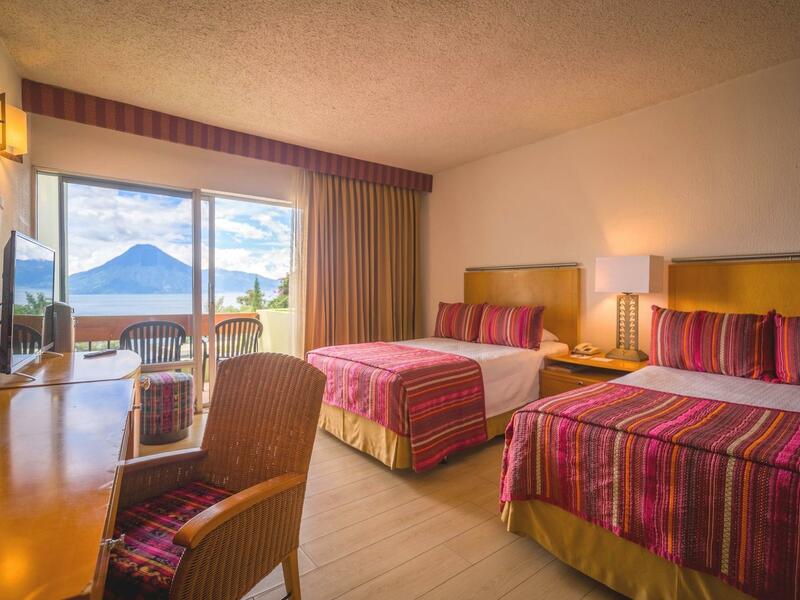 Here, the rich comforts of a modern hotel blend seamlessly with authentic Guatemalan design and décor to create a truly unique ambience. 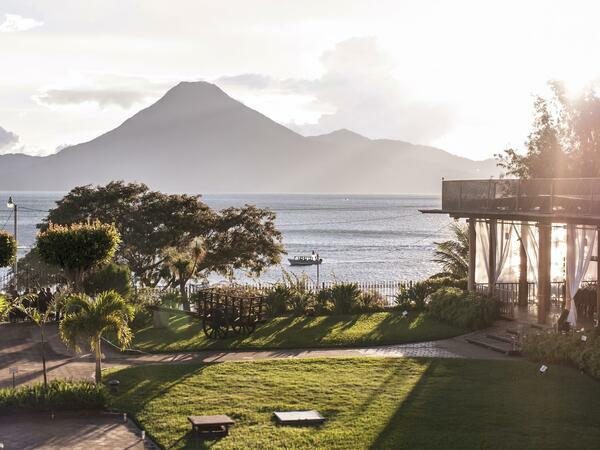 Allow our concierge to arrange for a scuba diving excursion on the lake, a hang gliding adventure or a hiking trek up the San Pedro, Atitlán or Tolimán Volcano. Or treat yourself to a rejuvenating private massage before dropping into a comfy chaise lounge by our freeform outdoor pool. 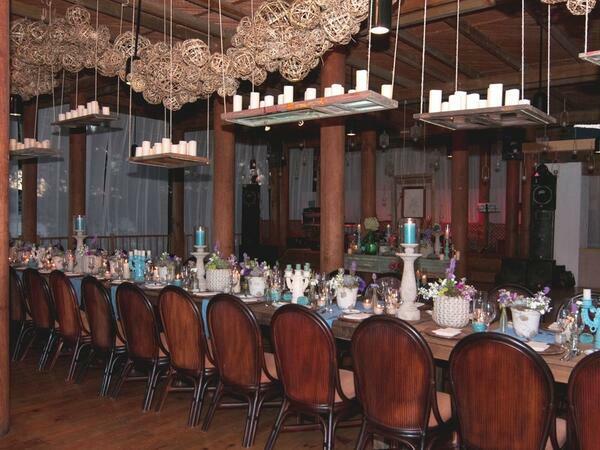 With 7,050 square feet of function space encompassing five distinctive event venues and an outdoor deck, we are an inspired choice for memorable meetings, weddings and special occasions. Come discover Porta Hotel Del Lago, a splendid lakefront retreat where natural beauty and rich comfort create an unparalleled experience. 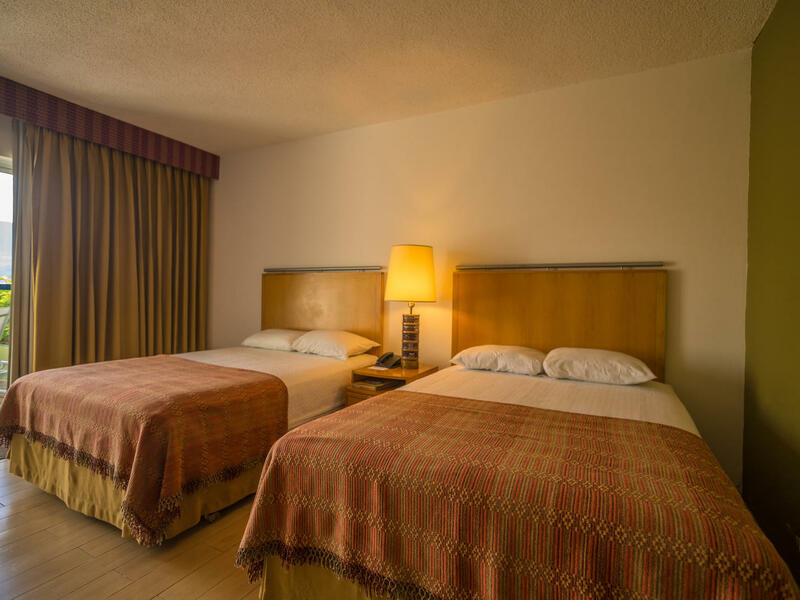 Each room offers a private balcony or a terrace with garden access, two double beds, a telephone, a radio/alarm clock, a TV with cable, a work desk and a lamp, a closet and luggage storage. Baths are appointed with either a tub or a shower and a hair dryer. 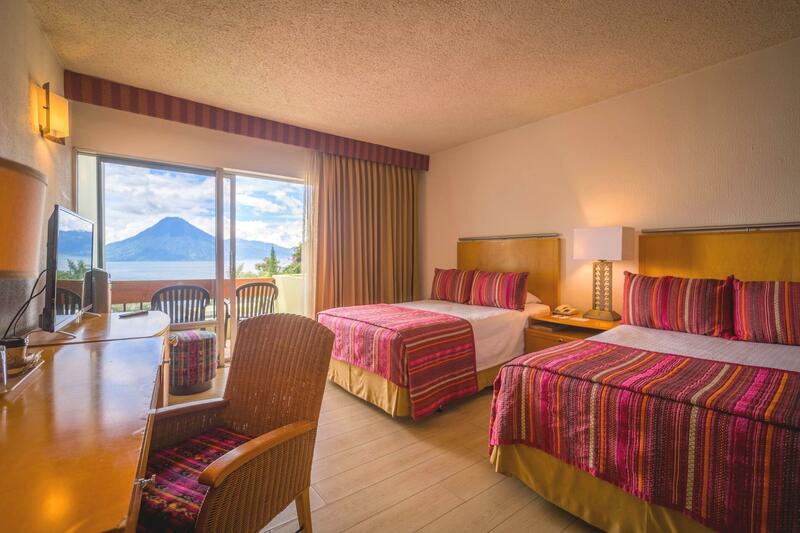 Our newly refurbished Deluxe Rooms feature amazing lake and volcano views from private balconies. Our exclusive suites offer the best lake or garden views at the hotel. 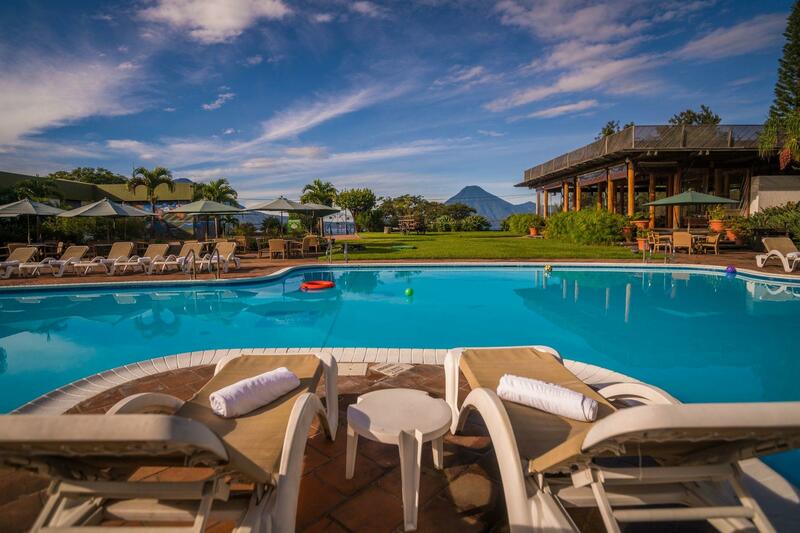 Savor enticing Guatemalan cuisine and marvelous views at Cakchiquel Restaurant. 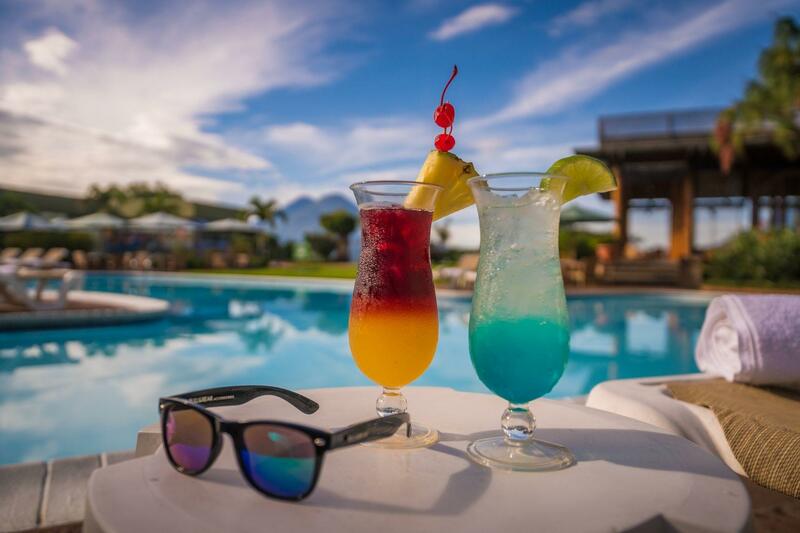 Gather for casual cocktails and snacks at Xocomil Bar or enjoy poolside dining at El Mirador Snack Bar. 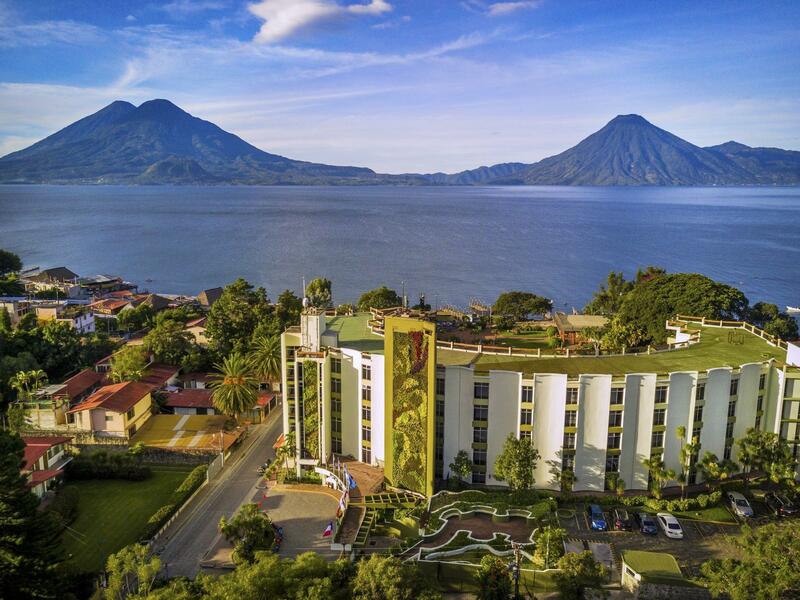 For a truly memorable meeting, wedding or special event, welcome your guests to the beautifully tranquil shores of Lake Atitlán. Against a dramatic backdrop of stunning lake and volcano views, our event and catering teams ensure that every detail meets your vision seamlessly. Enjoy a guided boat tour of the beautiful and fascinating villages surrounding Lake Atitlán. Don’t forget your camera!